The club began issuing season tickets during the 1888-89 season and have provided the option for fans ever since. 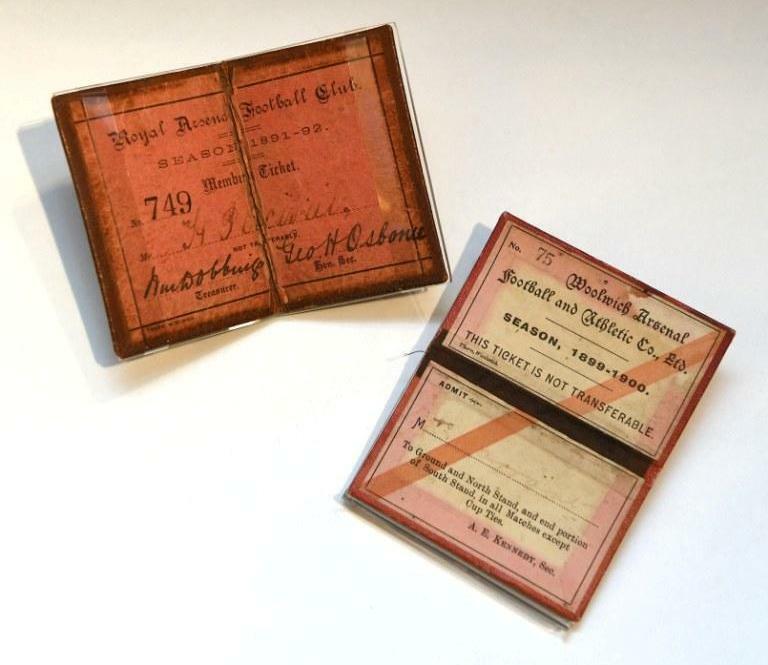 Within the museum there are a couple of examples of the earliest season tickets issued by the club – one only three seasons after the practice began. The Royal Arsenal FC member ticket from 1891-92 allowed access to the whole of the Invicta Ground, but was not in itself just a season ticket. Its primary purpose was to grant the person membership of the football club with full rights to vote in elections at the meetings for the committee who ran the club at the time. The cost of this membership was 10 shillings 6 pence (or 52½ pence) per season, and there were in the region of 1,000 subscribers, but each had to be approved by the other members of the club at specific club meetings. Each were individually endorsed by club officials William Dobbings and George Osborne. The card itself folded in the middle with the outer cover showing the lettering R.A.F.C. and the relevant season, in this case 1891-92. H Percival, club member 749 and owner of the ticket, was in his first season as a member at Royal Arsenal. 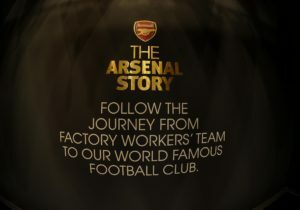 He may well have continued his support of the club in future years, but did not become a shareholder as the club renamed itself Woolwich Arsenal in 1893. The 1899-1900 ticket is presented very much like the current season ticket in that it is set out in portrait fashion and encased within a wallet. The top card shows the ticket number, in this case a very low one of 75, and the football club name. In all, approximately 800 season tickets were sold by the club this season as the Boer War affected sales. The second card in the wallet shows that it was owned by Charles Farrant who had access to all of the North Stand and a partial area in the South Stand of the Manor Ground but only for league games, unlike the present offering which includes a generous seven cup games. Charles could also stand anywhere in the ground on the terracing if he so wished. While it does not state the price, the cost of this ticket was 15 Shillings (or 75p) per season. At this point there were no reserved seats aside from in the South Stand, as the club had, for this season, installed 300 specially upholstered seats in that stand. We know Mr Farrant was a long term supporter of the club as he purchased two shares in the 1893 Woolwich Arsenal stock flotation and also had a season ticket for 1902-03, which is currently in the museum store room. Of course both these ticket holders would have to pass the discerning eye of a gateman to accept entrance into the ground, rather than the electronic eye of the computer system at the Emirates. Such is the difference between the analogue and digital eras!